Sold out at present. 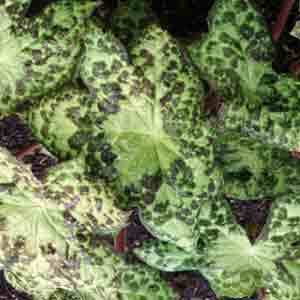 Large vigorous umbrella shaped leaves chartreuse with chocolate brown spotting in spring turning paler through the season. Huge garnet coloured flower appear under the leaves in clusters.Rare. Humus rich well drained soil in shade to semi-shade. Hardy.